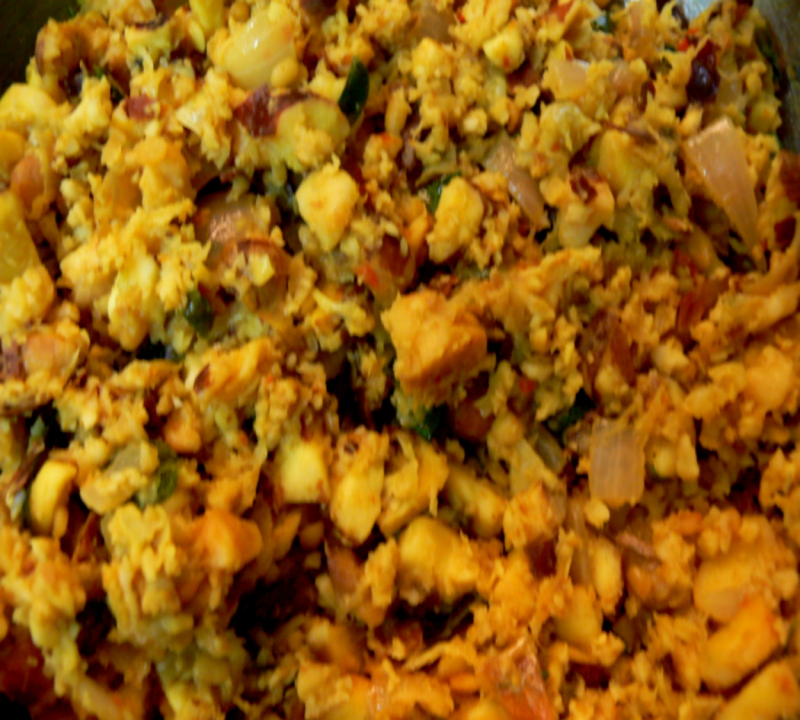 This tasty side-dish is made with jackfruit seeds. Try this,taste and post ur comments. Heat oil in a kadai and saute mustard seeds,cumin seeds,chopped onions and curry leaves for 2 mins. Add ground masala with turmeric powder and salt and saute for 3 mins. Add chopped-boiled jackfruit seeds and mix well for 2 mins . Add grated coconut and mix well for 2 mins. Serve this jackfruit seeds stirfry with Rice and sambar or karakuzhambu. Hi! Christy ... Tried out your Jackfruit seed stir fry for d first time and it was so delicious . Thanx a ton . Yes Rabz!,U r correct!.This Masala Jackfruit stir-fry is an yummy dish and the roasted jack fruit seeds can also be added to chicken and mutton dishes besides the boiled- seeds can be stir-fried with tadka and grated coconut(without adding other spices).Thanks for ur valuable feedback. I just love eating jack fruit seed. They r soooo yummy. In Bangladesh we roast them make them with dried fish, chicken & meat. We actually dry Jack fruit in it's season then later on use it when ever needed. I'm sure this one will be very tasty too thanks 4 sharing.